Eye: Delicious deep old gold. Nose: Strong and powerful, rancio extremely evident, with hints of ginger, cinnamon, wood, and vanilla. Notes of wooden cigar box. Palate: Surprises with its finesse and mellow entry. Vanilla and fruits give way to the spicy delights of cinnamon, ginger, and clove. A truly satisfying and lengthy finish. 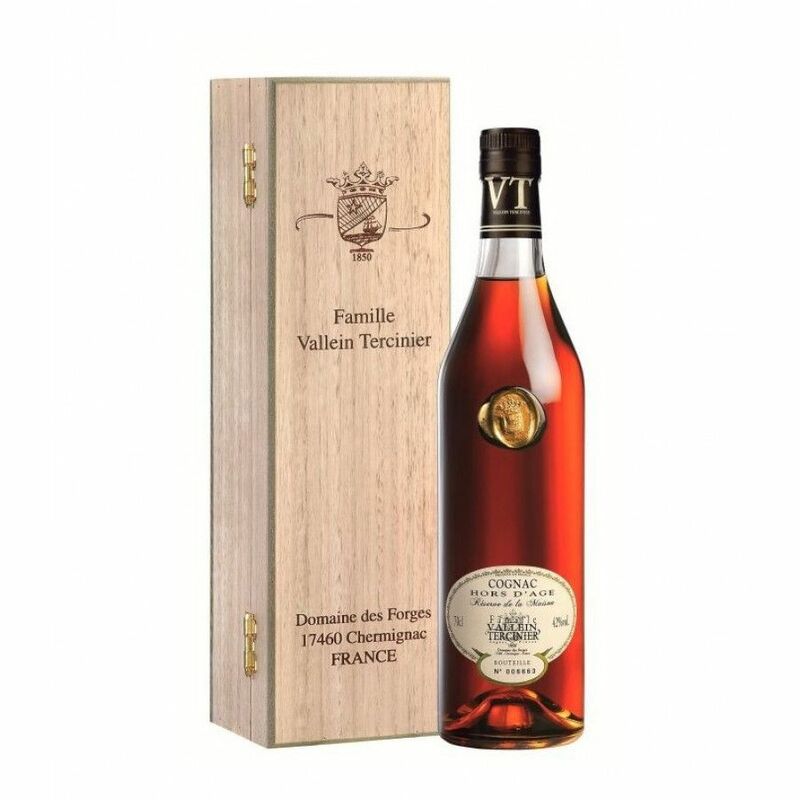 The Vallein Tercinier Hors d'Age Cognac really needs to be tasted to be believed, because this is an ultra-premium level Cognac but without the ultra-premium price tag. A blend of both Grande Champagne and Petite Champagne eaux-de-vie, it's an award winning offering from a house that takes true pride in its small, but perfect, range. The blend has been created from over 20 different eaux-de-vie, the youngest of which has spent a minimum of four decades whiling away in oak barrels, during which time Mother Nature worked her magic. It's presented in a simplistic, traditional style bottle and wooden case, proving once and for all that you don't need bells and whistles to advertise an extraordinary taste experience - all you need is an outstanding Cognac.